Water piping can be found in all sorts of materials including most commonly PEX, CPVC, brass, copper, and galvanised steel. 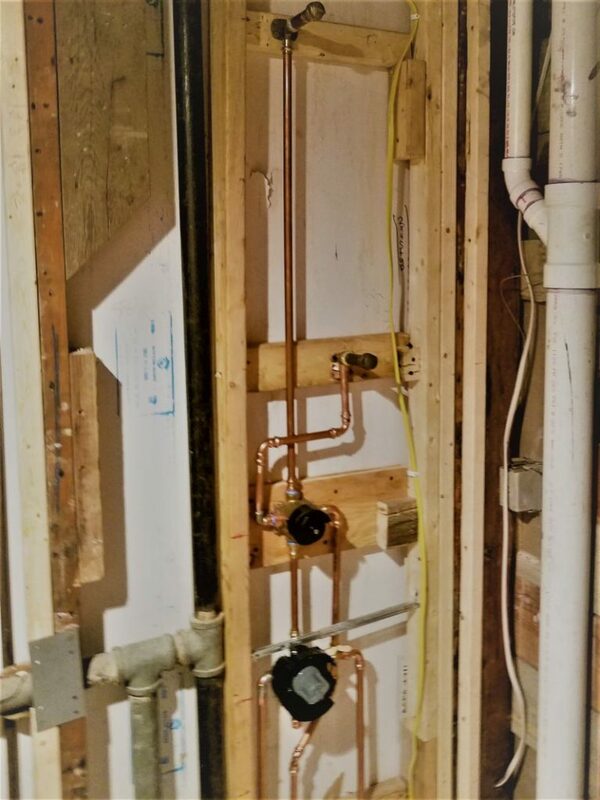 Copper is fairly common but is being replaced by PEX in many applications. Pex is shorthand for Crosslinked Polyethylene and can be found in several variations. Pex is much less expensive than copper and somewhat more resistant to bursting caused by freezing (though hardly freeze proof). Brass is generally reserved for valves and fittings but is also used for short lengths of pipe. Galvanized steel pipe is rarely used anymore because of corrosion issues but it does pop up occasionally (usually causing trouble). We have the expertise to repair, replace, and install all of these kinds of water piping. We also know exactly what to use for each application. Waste Piping, also commonly known as sewer pipe comes most commonly in cast iron and two types of plastic; ABS and PVC. Cast iron pipe is very common in older construction and is still used today but is largely being replaced by the much less expensive and corrosion resistant plastic types. 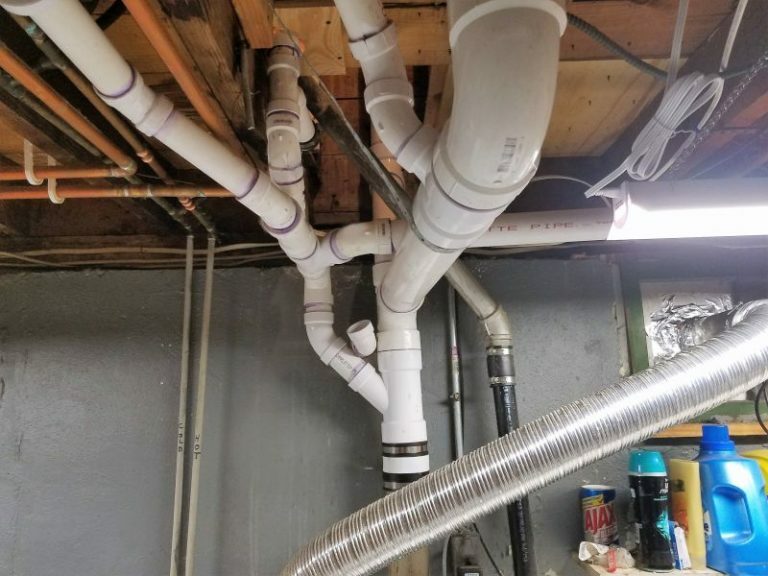 ABS pipe (usually black) is marginally less expensive than PVC (usually white), but we have noticed several issues over time that make PVC our choice for Drain piping. Even with PVC pipe one has to be careful to choose the proper style and weight for the application to ensure a long trouble free service life. We often use higher grade pipe than is called for by code for this very reason. No matter what the choice of pipe, it must be installed properly to get the most out of it. Clay and “Orangeburg” impregnated fibre type pipes can still be found on older Connecticut properties, each with their unique problems. Old, cracked and broken pipes can be the source of some very difficult to clear clogs, especially when combined with tree roots and so called “flushable” wipes and this is a very common problem. From clearing clogs to replacing a main line to the sewer, we can handle all of your Waste and drain pipe needs. (more commonly known as Propane or LPG) piping. 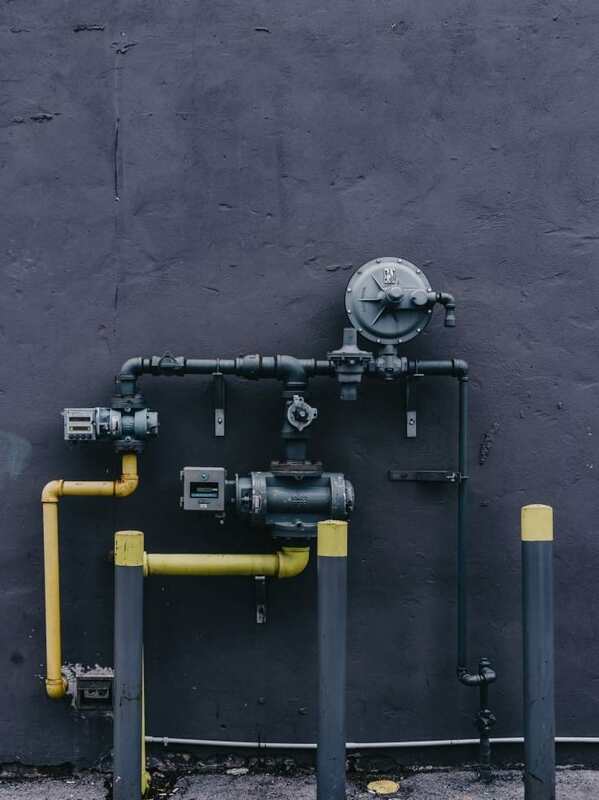 Gas piping, like water and waste piping, comes in several different types including black steel, coated copper, flexible corrugated steel and more. Federal, state, and local laws carefully regulate how and where each type can be used. Our preference is black steel pipe in every place possible and most local inspectors agree that this is the best way. These restrictive regulations are in place for good reason; shoddy gas work can be deadly. Natural Gas and Propane, while similar in chemistry and use have specific properties and requirements. Natural gas is piped long distances to your home by the local gas company, while Propane can be trucked to your home and stored in tanks on your property if Natural Gas is not available at your location. Gas appliances must be set up properly for the type of gas being used. The technician working with either system needs to know the differences and both must be handled with expertise, care, and respect. We have the expertise to handle the gas work in the places where who and what you care about reside.